As component sizes shrink, packaging is coming to the forefront as a key challenge the semiconductor industry faces in the 21st century. IC Packaging Metallurgy is a 2-day course that offers detailed instruction on the metallurgy issues associated with today's semiconductor packages. Basic Semiconductor Packaging Metallurgy. Participants will study the phase diagrams that are most useful to IC packaging and learn about basic metallurgy topics such as melting, solidification, intermetallic compounds, oxidation, corrosion and welding. Important Alloy Systems in IC Packaging. The course presents metallurgical principles with selected alloy and materials systems that are key to the understanding and analysis of semiconductor (IC) packaging assembly and reliability. IC Mounting and Bonding. Participants will learn about alloy mounts and Ag-filled die attach. Additionally, they'll learn about wire bonding, flip-chip soldering, and package mounting. Phase diagrams are used as a basis for examining what solid solutions, phases, and intermetallic compounds (IMC) should be expected in an assembled or PC-board mounted IC package, and where the phases should form in a well-built system. Oxidation/reduction potentials are the first steps toward resolving corrosion resistance issues, either in package design or failure analysis. Since assembly techniques join metals by soldering or thermo-compression/thermo-sonic methods, the behavior of melting and solidification and the formation of solid solutions and IMCs, as read from the phase diagrams, is presented as an important predictive and diagnostic tool. Reliability and Environmental Tests. The last part of the class brings together the basic principles and selected alloy systems to analyze the results of reliability testing, interpret the observed failure modes to identify root causes, and predict behavior for materials or process changes implemented to lower costs and/or improve reliability. The course covers moisture tests, thermomechanical tests, electromigration, and failure analysis methodology. This course is a must for every engineer and technician with limited materials science training or experience. The course can also serve as a targeted review for materials scientists with limited experience in IC packaging assembly. Our instructors work hard to explain semiconductor packaging without delving heavily into the complex physics and materials science that normally accompany this discipline. At the end of the course, participants will know how to read and interpret phase diagrams for melting and solidification behavior. They will also know the compositions of the solids and intermetallic compounds that should form. Participants should be able to predict and identify potential corrosion products from environmental testing and field failures. They should also know how to interpret failure analysis results. Finally, participants will gain methods to apply these principles to process and material changes to lower cost and produce increased reliability for IC packaging. Our courses are dynamic. We use a combination of instruction by lecture, problem solving, and question/answer sessions to give you the tools you need to excel. From the very first moments of the seminar until the last sentence of the training, the driving instructional factor is application. The course notes offer hundreds of pages of reference material that participants can apply during their daily activities. Dr. Roger Stierman is an independent consultant who focuses on packaging issues and analysis techniques. Roger received a B.S. in Physics from Loras College and M.S. and Ph.D. degrees in Metallurgy from Iowa State University. During his 25-year career at Texas Instruments, he developed processes for semiconductor package assembly and characterized semiconductor packaging materials such as die attach, mold compounds, polymer overcoats, wire bond and flip chip connections, flip chip underfills, and package-to-PWB attachment. As manager of the Semiconductor Packaging Lab, he delivered training for physical failure analysis methods including precision cross-sectioning, SEM/EDS, X-Ray, tensile and 4-point bend testing, microhardness, RIE/ICP etching, ion milling and laser decapsulation. 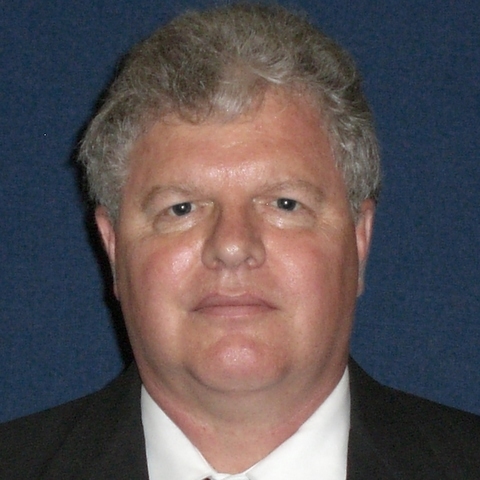 Currently, he is a consultant on semiconductor packaging failure analysis for Omniprobe, Inc.